When it comes to outstanding beauty the viewpoint overlooking the 16 km long, 800m deep, the Blyde River Canyon in South Africa is going to leave you nothing less than overwhelmed – the sheer scale and refined symmetry of the scene makes a trip here unforgettable. After Table Mountain, the Blyde River Canyon in South Africa is the country’s most-visited natural attraction. Splayed out before you are the impressive northerly reaches of the Drakensberg Escarpment where it meets the lowveld, including the famous Three Rondavels, whilst below is the startling blue and irregular shape of the one of the world’s largest canyons. 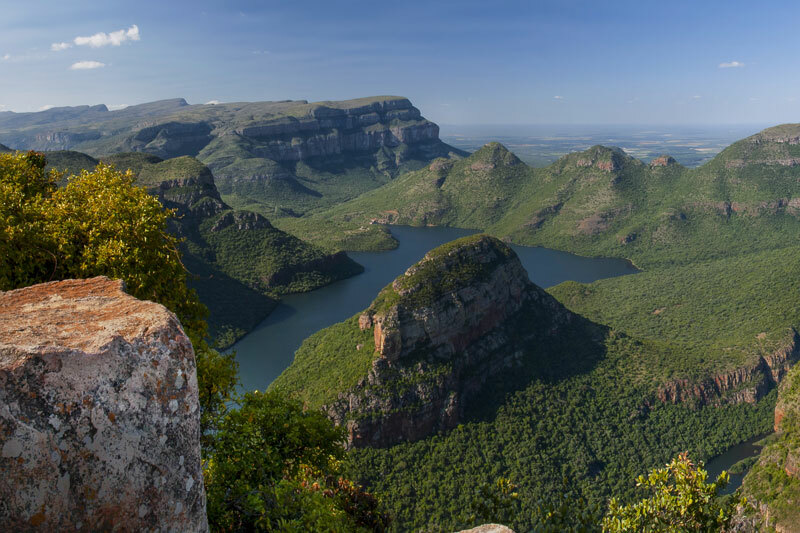 The vast Blyde River Canyon lies only 70 km west of the Kruger National Park, so it forms a natural pair with a Big Five safari – you can see the canyon on your way to, or from, the park. 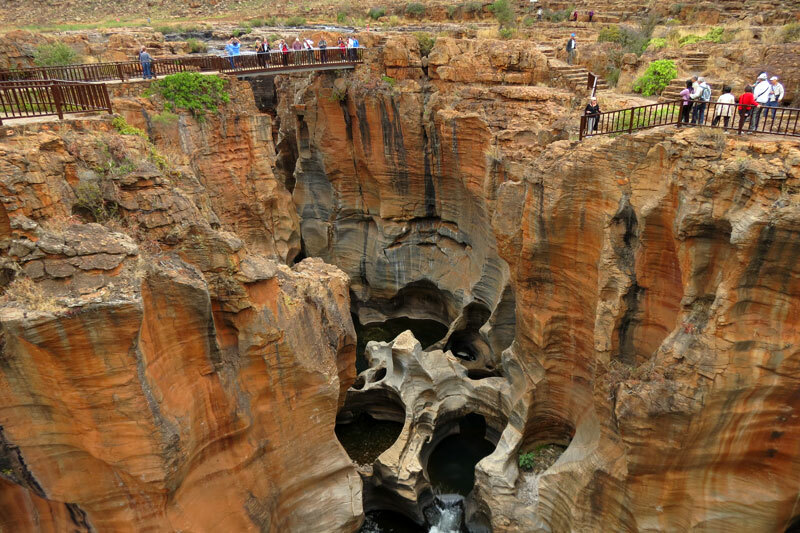 The canyon starts as little more than a narrow whisp near Graskop, broadening steadily into a dramatic amphitheatre 60 km north of town. Views from above and below are incredible. 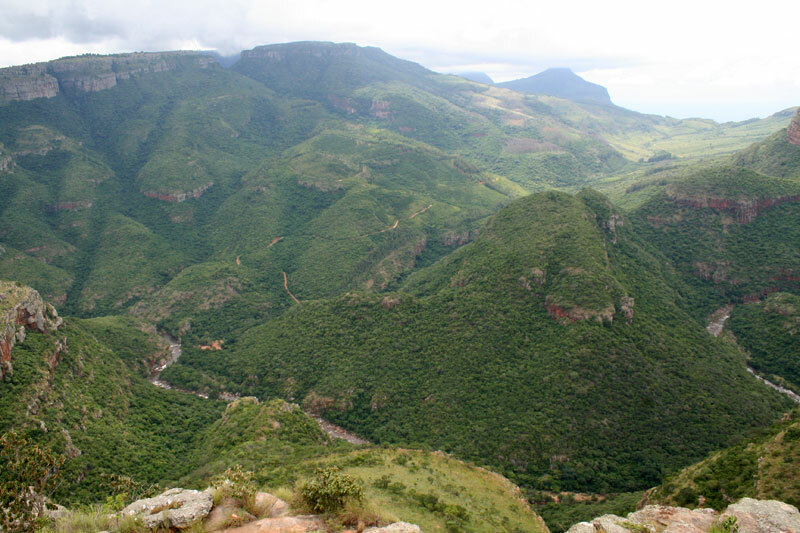 You’ll visit the canyon as part of a trip to the Blyde River Canyon Nature Reserve (Blyderivierspoort Nature Reserve). 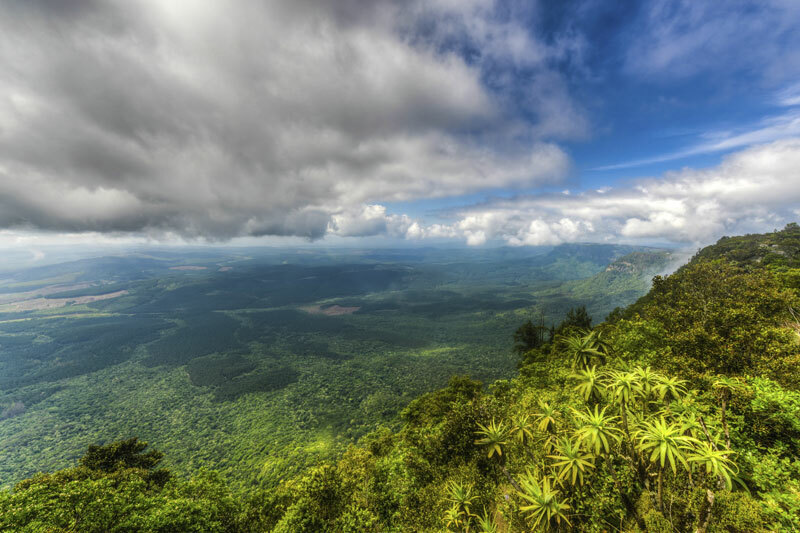 The fastest way to get to see the Blyde River Canyon in South Africa properly is to fly into Johannesburg International Airport, and get a connecting flight to Nelspruit. From there you can either hire a car and self-drive the route, take a Bazz bus tour along the Panorama Route, or find a package tour that includes all the highlights you want to see. Tip 1: One of the best ways to really see the Blyde River Canyon in South Africa properly is to take the 15 km loop of the R534 along the canyon’s lip. Combined with R532 you’ll get to see all of viewpoints along the route taking in the major attractions of the gorge. Tip 2: Arguably, the best view of all is the one at the Three Rondavels – three hut-shaped and squat mountains that overlook the Blyde River below, ahead and surrounding you are the cliff faces of the Klein Drakensberg. Heady stuff! Tip 3: Try to time your visit for a fine day, the weather does make a difference to your photographs, if not your experience. And allow a minimum of half a day for the visit, accounting for the frequent early morning mists. 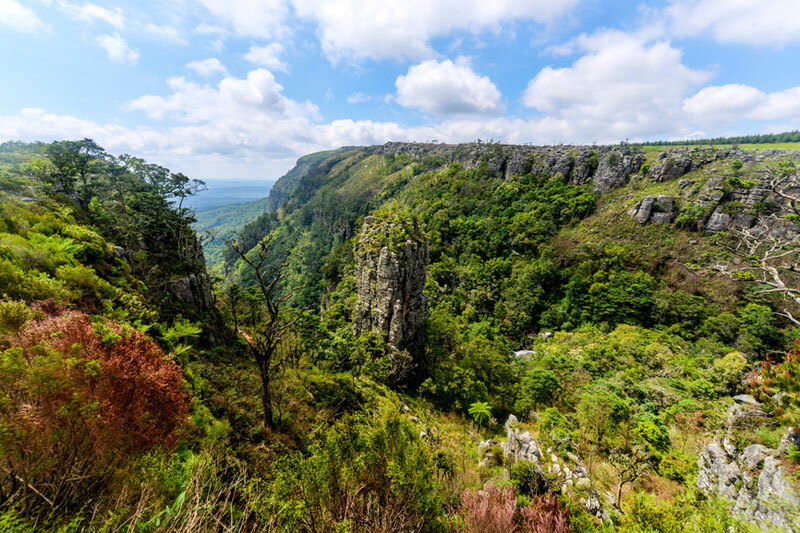 Tip 4: If you’re arriving before organising your trip, start in Nelspruit as from there you can easily organise to explore Kruger via the Canyon. This 30 metre-high ‘needle’ of quartzite rises dramatically from a ravine, whilst below you you can see down the valley for kilometres. The views here are as good as God’s Window, but without the crowds. Definitely one of the more famous viewpoints, and the only one with a toilet and curio shop but you may find there are crowds, the views from here are incredible. 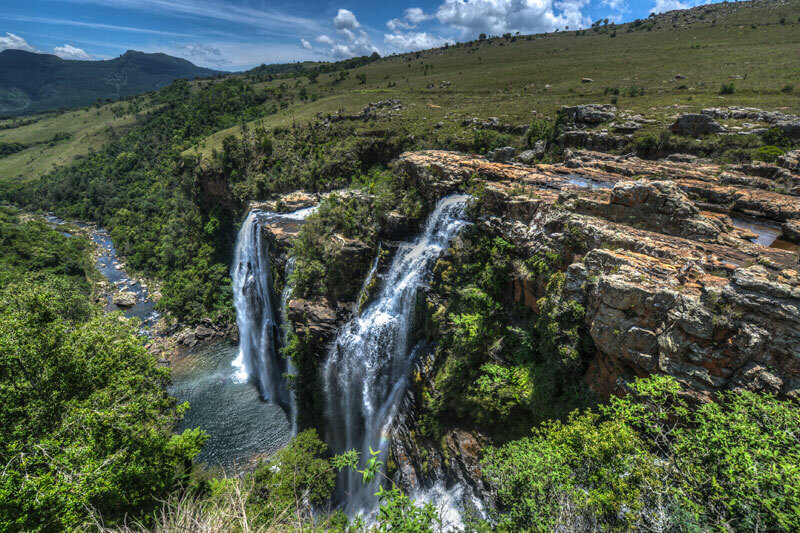 These are just two of the numerous waterfalls you’ll find on the Panorama Route around Sabie. These are strange-looking deep holes hewn into the rock by pebbles whirled against and within the rock by the Treur and Blyde rivers, which join here. There are several walks and hikes in the area. These towering spirals of dolomite rock seems to mushroom from the far wall of the Blyde River Canyon. Locals call them the Chief and his Three Wives (the flat-top peak is the chief), whilst the three wives, in descending order, are Maseroto, Mogoladikwe and Magabolle. It’s free, or was when we last looked, and offers a great alternative view to God’s Window. 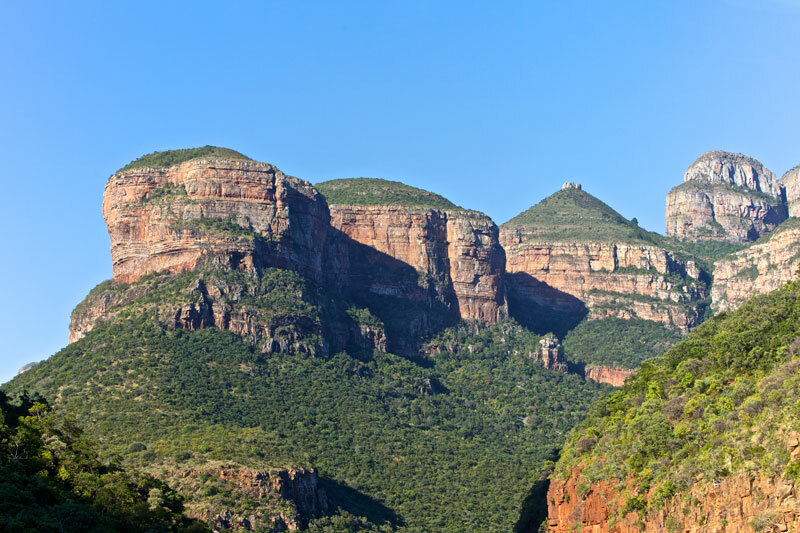 The self-guided three-day Waterval Long Trail and the five-hour Belvedere Day Walk have been carefully designed to take in many of the canyon’s highlights. They meander through the nature reserve and surrounding private land. But they’re not the only hikes for you to see the Blyde River Canyon South Africa properly. There’s 90 km worth of breathtaking views between the Three Rondavels and the dam at the base of the canyon, and easily tagged on to any trip to or from Kruger. You’ll join the R36 via the Abel Erasmus Pass, through the JG Strijdom Tunnel and out the other side of the mountain where the lowveld opens out on either side of you. Try and avoid the July holidays if you can, as things get a little busy. 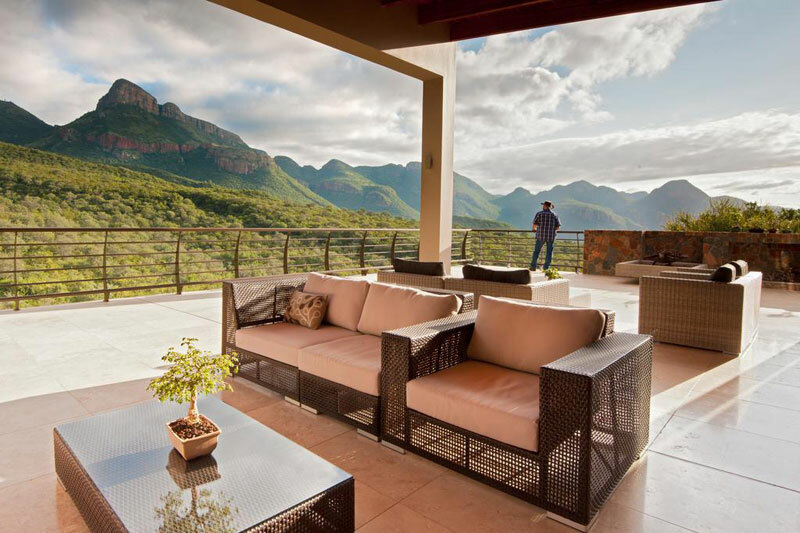 We can’t stop eyeballing the views from this incredible house right in the heart of the Blyde River Canyon – we’re talking mountain and bush views as good as those from any of the viewpoints along the route. Choose your private suite, and breakfast on the deck. We’ll quite understand if you decide to forfeit any day trips to remain in the house for the views. 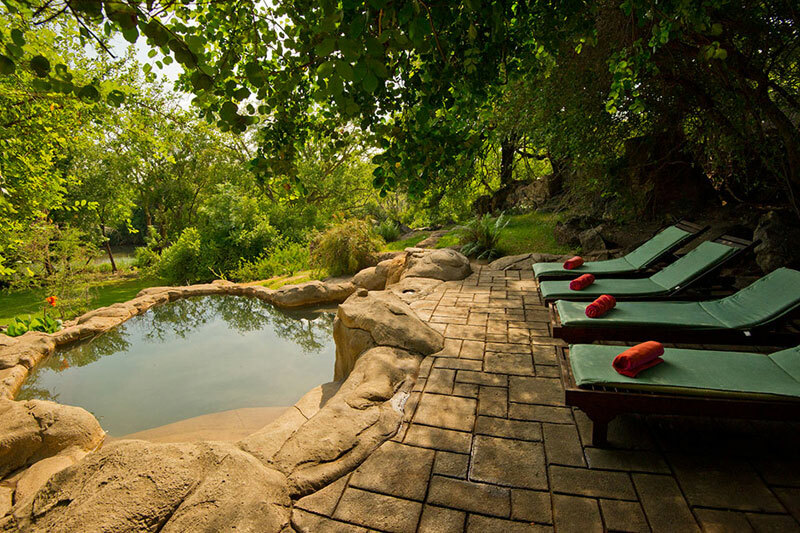 Winner of our Best Small Lodge Accommodation in the Blyde River Canyon, you’ll be staying within a private reserve on the banks of the Blyde River. The combination of bush experience and mountain views is difficult to beat, and your access to the Panorama Route is a smooth process. We love the treed surrounds. 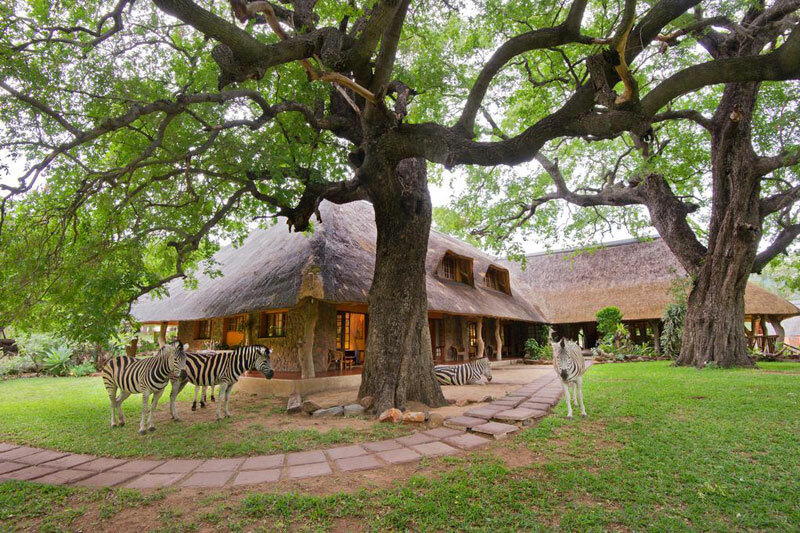 It looks as though zebras are frequent visitors at Blyde River Canyon Lodge, not far from the dam. Which isn’t surprising given that its on an 85 hectare game fenced botanical nature reserve. Choose from one of six en-suite double rooms, or a honeymoon suite. The map of the Blyde River Canyon area below shows the location of highlights mentioned above, popular towns nearby and its location in South Africa.